Photo: Boys from our boys home are enjoying the new playground and look forward to the added security of a new perimeter wall that will enclose the newly acquired land. We are happy to report that thanks to the generous support of our donors, we now have everything we need to begin construction on a new security wall around newly acquired land adjacent to our main campus. Once we receive permission from the Survey Department of the local government we can begin work on the wall immediately. The new wall will surround the new playground and athletic field at our “Peace City” orphan home campus, home to our girls home, boys home, and elementary school. We anticipate that the permission will be given next week. This security improvement is much-needed due to many concerning security issues we have witnessed in the area over the years. The perimeter wall will also help to keep dangerous snakes out of the space. We always seek to provide the highest level of security possible for our children. We look forward to the completion of the new security wall which should be in about 4 months; it’s a big project. In other good news, all of our children are progressing very well in school, and they started their midterm exams in September and will complete the examination process on October 8th. To prepare for their midterm exams, our 89 on-campus primary school students (ages 5-13) diligently studied and received tutoring in their native Telugu and Hindi languages, English, math, science, and social studies. Our 35 older children (ages 13-16), who are attending higher classes off-campus, also studied hard and received tutoring in their native Telugu and Hindi languages, English, math, physical science, natural science, and social studies. 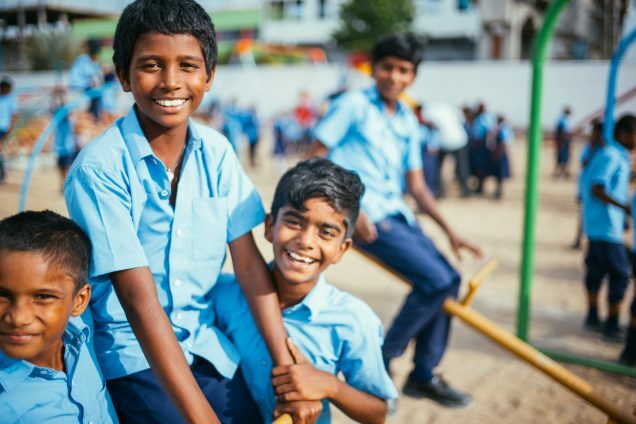 When the children are not studying or taking their midterm exams, they enjoy playing fun, stress-relieving games together such as Kabaddi (a popular, local contact team sport) and cricket. Her parents and brother were daily laborers who worked in various villages, always trying to find work. Her father found a job as a bricklayer in one village, but he fell off a ladder and broke his leg, hand, and his spine, thus he was unable to work any longer. Lalitha’s family depended on her father’s daily wages, so it became extremely difficult for her mother to take care of 2 children and her injured husband. Sometimes her mother would clean hotels or people’s homes, but she was not able to earn enough income to feed her family or pay for her husband’s medical expenses. She wanted to send Lalitha to school, and thankfully she heard about Peace City and asked us if she could enroll her daughter in our orphan home and on-campus primary school. 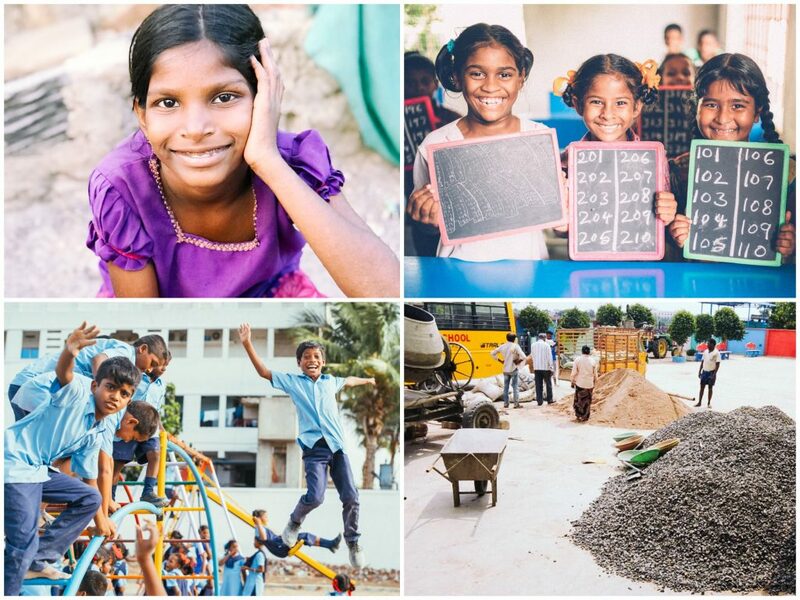 We were moved with compassion and eagerly admitted Lalitha to Peace City 4 years ago. Now Lalitha is happy and thankful to eat three healthy, delicious meals every day, play with all of her new friends, and sleep in a comfortable bed every night — all of these are comforts which she did not have at home. Lalitha is very thankful for her new life at Peace City, and she prays for her father, mother, and her brother every day. We recently planted okra, eggplant, tomatoes, green chilies, and curry leaves in our rooftop box gardens, and we look forward to a bountiful harvest of these crops in November. We were not able to plant for the rice harvest this year due to low-rain monsoons during the past 2 rainy seasons. In addition, local wells have dried up in the area of our farmland, and the government discontinued plans to build a canal to help the local farmers, both due to a lack of rain. The government water authorities were supposed to release water for the farmers’ fields, but they are unable to do so because there is no water in the dam. Thus, our native team has improvised and is planning to plant lentils on our rice farm since lentil crops do not require as much rainfall to flourish. We will plant the lentils in November, and look forward to a good harvest in February. * Statement about our use of the term ‘Orphan’: We believe that while perhaps not a dictionary definition of the term, any child who is surrendered to an orphan home due to the fact that the parents or surviving parent are not able to effectively care for the child, are indeed orphaned in the sense that there is no viable biological parenting option available for the child. There is much disagreement and discussion on this topic, but we feel strongly that any child surrendered to better care in an orphan home should by nature at that time be considered an orphan. This is much in the same sense that Western popular culture depicts an infant left in a basket at the door of an orphan home no less an orphan than one who has lost both parents to death. In any case, we hope that the semantics of such an issue will not limit our ability to see that these children come from special circumstances that put them at extreme risk and therefore require our utmost attention in taking responsibility for their well-being.